A clean style in blue colors is a perfect fit for a company that offers pool cleaning services. The blue calls associations with the water and a minimal layout speaks for its purity. The design you see inherits all the mentioned above and turns out to be the right choice for promoting cleaning company online. Feel free to use it to demonstrate the working process via the top slider and tell about main services the whole list of them is placed in the block with colored pointers for the ease of perception. 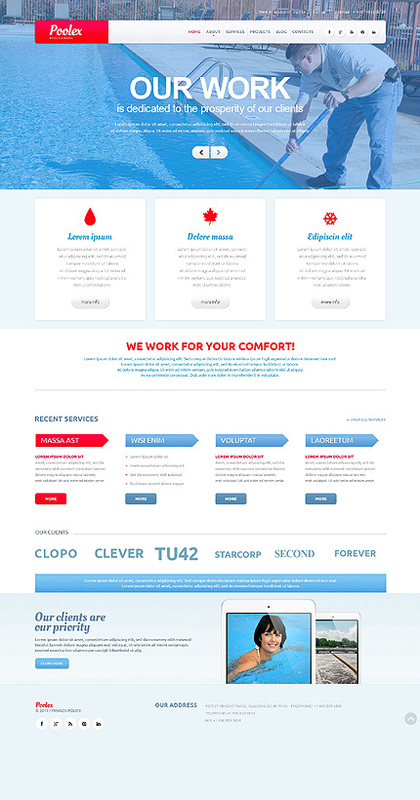 Your clients will like your site with a wise organization of its layout. A backtotop arrow and drop down menu will seamlessly get them to whatever part of the website. Don't waste your time looking for doubtful variants, choose the right professional design. 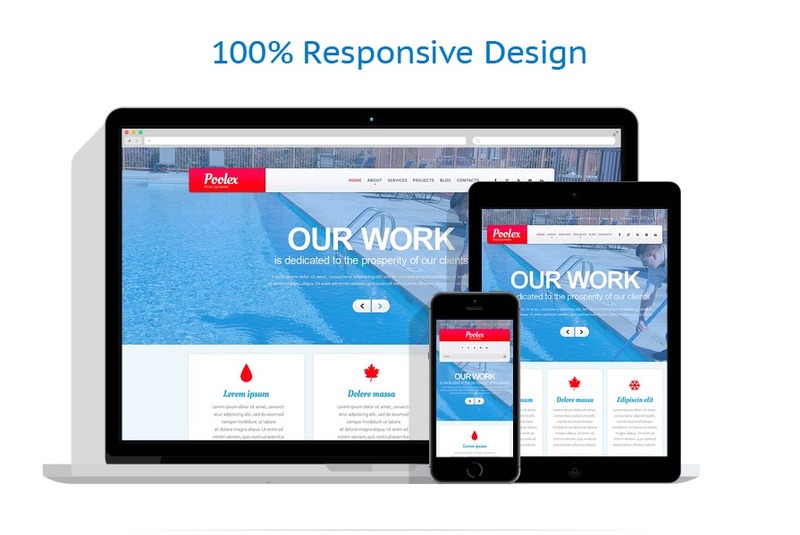 This template is perfect for sites offering a variety of maintenance services like pool, window, home cleaning, laundry, or painting.